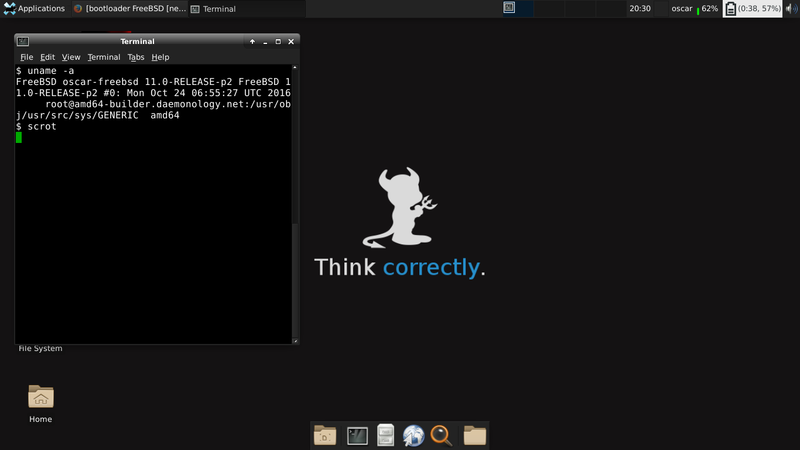 Hi, sorry for the ignorance, it is the first time that I install FreeBSD. I wondered if FreeBSD automatically installs a boot loader, because I want to make a dual boot with Gentoo, Gentoo grub maintaining and adding the voice FreeBSD (of course I will use UFS partitions compatibility grub), thanks. For MBR partitions and UFS FreeBSD does indeed have a bootloader, boot0cfg(8). It's a bit arcane though. Not sure what the status is when it comes to UEFI and/or GPT. Your best bet is to use grub from the existing Linux installation. Have a look at this thread: Thread 49055/. but I freebsd install automatically this your bootloader and overwrites my grub? thanks, I've already tried a couple of times in virtual machine, now I try real pc, I'll know!